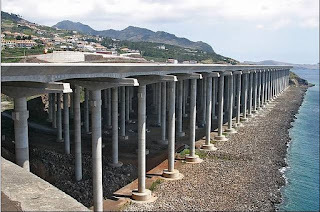 Joel's Jottings: Runway on sea? 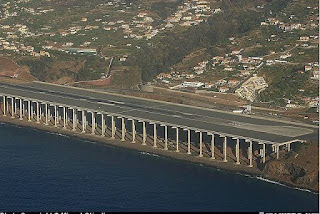 I was surprised at the stunning pictures of a runway built almost on sea!! I received these pictures - some of which I placed below - as an an e-mail forward from my friend Mohan Gokavi, and couldn't help investigating a bit. 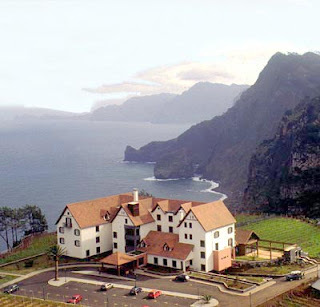 I now understand that this is a beautiful island called 'Madeira' that belongs to Portugal. 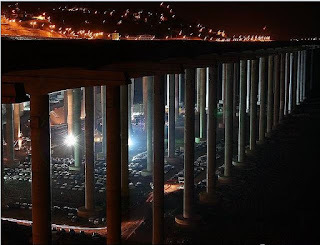 At a 15 minute flight-distance from Lisbon, this airport has won the IABSE award for structural engineering. Click here to more about the award. The Award recognises the most remarkable, innovative, creative or otherwise stimulating structures completed within the last few years. Watch pictures below and enjoy. Don't miss the cars parked under the bridge! The Madeira Islands, known originally to the Romans as the Purple Islands, were found (accidentally) by the Portuguese in the 15th Century. 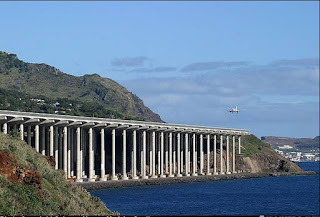 Positioned in the Atlantic Ocean, about 360 miles directly west of Morocco, Africa, and 540 miles southwest of Lisbon, Portugal, Madeira and Porto Santo are the only inhabited islands. These islands are a popular year-round resort, famed worldwide for their Madeira wine, embroidery artisans, a perfect climate, striking scenery and beautiful flowers. I hope it can support the take-off and landing of the new A380 !!! It was even scarier when I visited that lovely island in 1985! Then we took the Portuguese airline which bundled us into a 727. I can tell you my stomach still crunches when I think of that landing and then take-off!